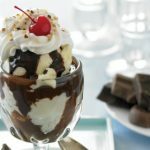 A trip to San Francisco is never complete without a visit to the Ghirardelli Ice Cream and Chocolate Shop! Cannot be combined with any other discount or coupon. 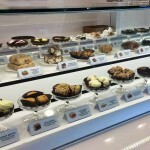 $2.00 Off Your Purchase of $20.00 or More at See’s Candies! Enjoy $2.00 off your purchase of $20.00 or more! Valid only at See's Candies shops. Not valid online. Requires a minimum purchase of $20. One coupon per purchase. Product price, excluding tax, used to calculate eligibility. Cannot be combined with other offers or discounts. Cannot be used to purchase See's gift cards. No cash value.